National Express offer round the clock services into the centre of London. There’s over 1,000 departure points across the UK. You’ll arrive at London Victoria Coach station. Then simply hop on the District Line to West Brompton, and Kensington (Olympia) is one stop away on London Overground. It’s easy, affordable and more environmentally friendly than driving alone. You can buy tickets online, call 08750 80 80 80, or visit your local National Express outlet. easyBus is the cheapest way to/from Olympia London to/from Gatwick Airport and Luton Airport with direct services operating from every 15 minutes, throughout the day and night. The easyBus picks up and drops off around the corner from West Brompton, and Kensington (Olympia) is one stop away on London Overground. easyBus is open to all airline passengers – whoever you fly with. Find out more about public transport here. If you need to secure a space for your van, lorry or car please click the book parking link. 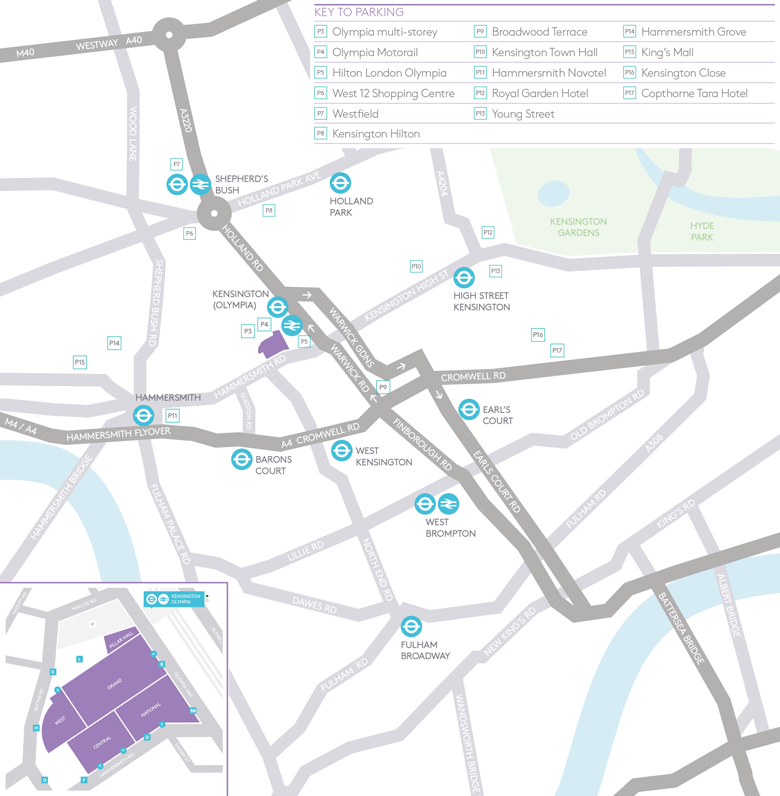 There are a choice of hotels in close proximity to the venue. We recommend the Hilton Olympia as it is right next to the venue. You can reserve your room here. Or alternatively, you will find a list of all nearby hotels here.